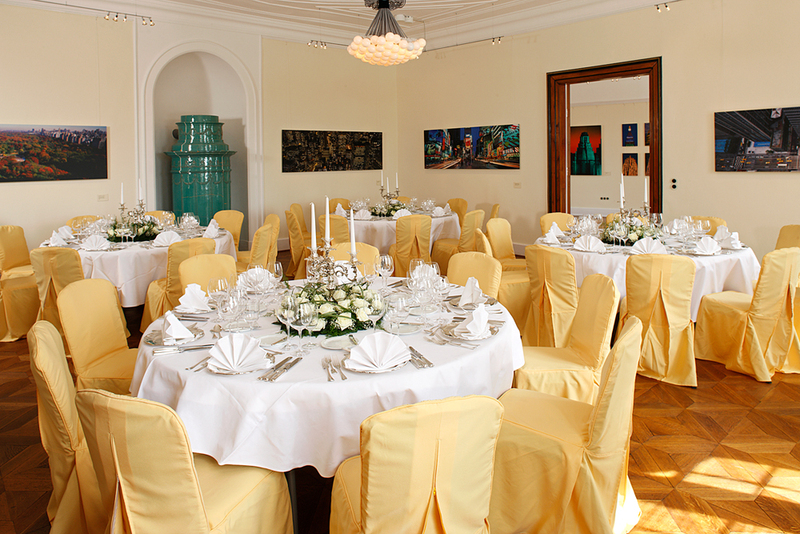 Callenberg Castle is an exceptionally beautiful and historically romantic venue for weddings. In 1932, Princess Sibylla of Saxe-Coburg and Gotha became engaged to the future Crown Prince of Sweden in the Red Salon. 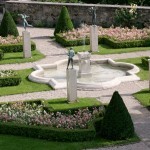 Most recently, Hereditary Prinz Hubertus became engaged in the Beletage in 2008, held his civil wedding in the Belvedere Salon in 2009 and subsequently celebrated his religious marriage in the Red Salon and Rose Garden. Wedding Ceremony: Nestled inside Castle Callenberg is an enchanting 400 year old chapel – a perfect venue for your special wedding ceremony. 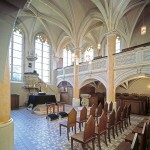 The chapel has seating capacity for up to 160 people. 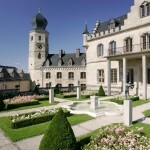 Civil Wedding: Since 2009, the Belvedere Salon in Castle Callenberg has been granted the right to hold civil weddings. With its stunning ceiling and stained glass windows – it creates an exquisite environment for this important ceremony – and can seat up to 20 people. 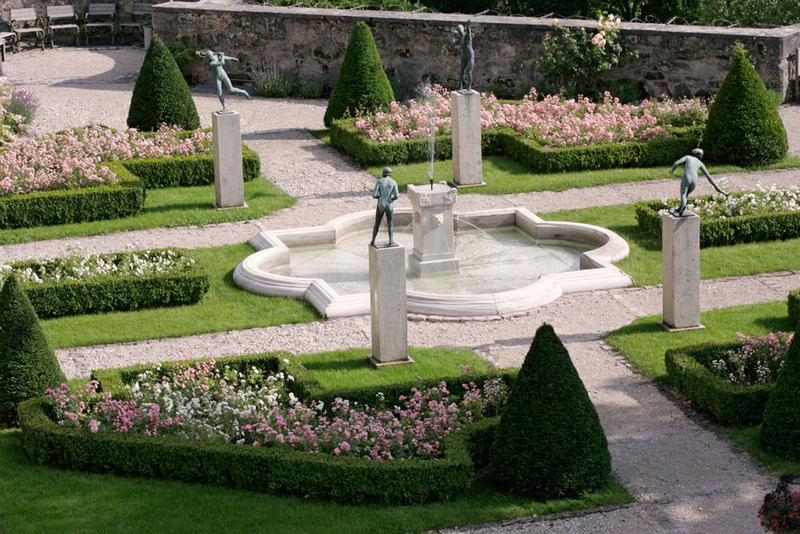 The Beletage is located on the third floor of Castle Callenberg and includes a large balcony that overlooks the rose garden below . The beautiful Balcony Room can seat up to 50 people but can be combined with the two connecting rooms to accommodate up to 100 people. 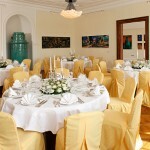 A reception in the Beletage (combining all 3 rooms) could include up to 140 people. 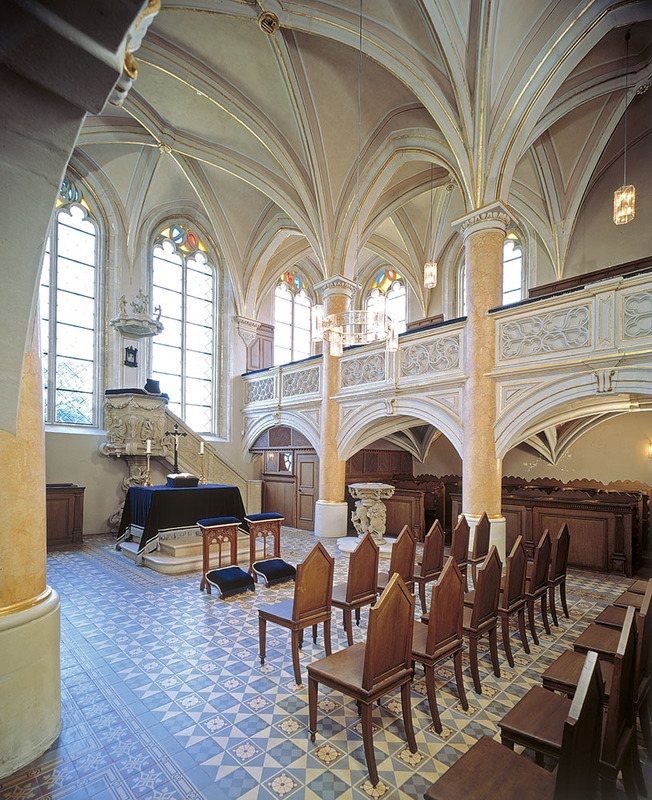 Combining a ceremony in the Chapel or Belvedere Salon with a reception, dinner or event in one (or more) of the other elegant rooms in Castle Callenberg can create a tailor-made experience in the splendor of this historic and exclusive venue. An important highlight of Castle Callenberg is its exceptional logistics. 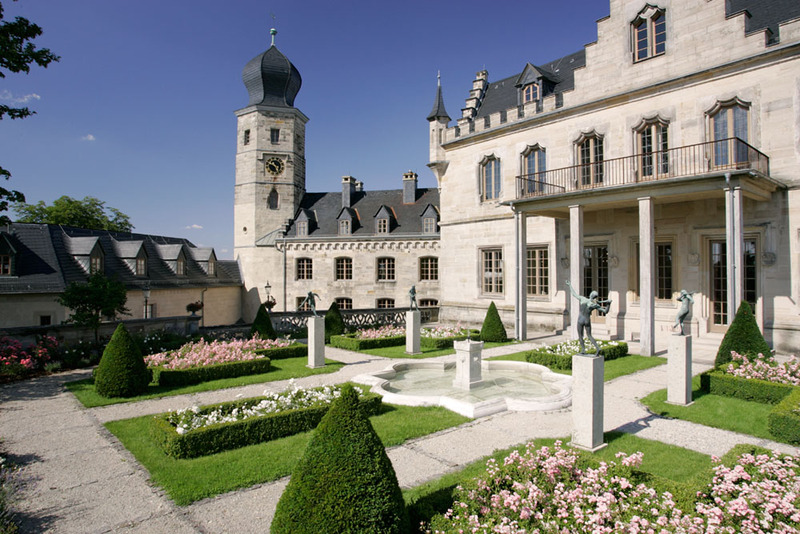 Castle Callenberg is conveniently located near autobahns from nearly all major cities and airports and has sufficient nearby parking (please see Visitors tab). Furthermore, a modern elevator provides comfortable access (to certain rooms) for guests. Finally, Castle Callenberg has a fully equipped catering kitchen, which has been used successfully by outside caterers for events ranging from small private receptions to large weddings.